Kids Masquerade party eye mask set of 4 are made out of a lightweight, yet durable plastic molded to fit face. 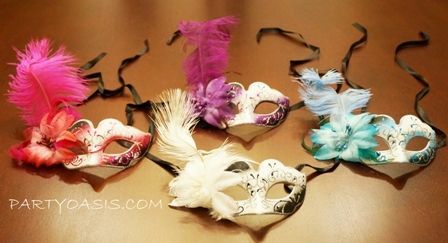 This mask is artfully done with handpainted design & a feather floral. Great for any princess party.